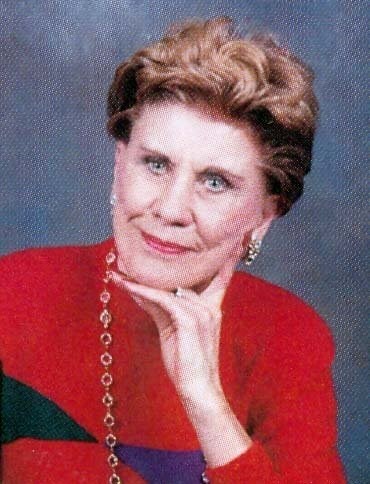 Mrs. Olean S. McKinney, 86, 615 D. Franklin Square, Johnson City passed away Thursday September 10, 2009 at her residence. Mrs. McKinney was a native and lifelong resident of Johnson City. She was the daughter of the late Clarence and Leona Bouton Whittaker. In addition to her parents her husband of forty-one years, Jesse B. McKinney in 1984; one daughter, Brenda McKinney in 1970; two sisters, Mildred Blackburn and Leatha Christian; two brothers, Harry and Earl Whittaker also preceded her in death. She was a homemaker and a member of the First United Methodist Church. Olean lived her life to the fullest and loved her family very deeply. All those she loved and loved her, will keep her in their hearts forever. She enjoyed playing unique pranks on her friends, playing golf and traveling. Survivors include: one daughter, Beverly Smith and her husband Charlie of Johnson City; one son, Wayne McKinney and his wife Anne of Johnson City; four grandchildren, David McKinney and his wife Abbi of Johnson City, Katie Anne McKinney of Johnson City, Charles "Adam"? Smith of Washington, DC and Laura Smith Lujan of Johnson City; two great grandchildren, Madalyn Lujan of Johnson City and Henson McKinney of Johnson City; very special friends and neighbors, Lloyd and Joyce Whitehurst of Johnson City; her earthly guarding angel, Margaret Forrester. The family would like to extend a very special thank you to those who lovingly cared for Olean during the past few years. The family would also like to thank the caregivers, Linda Colough, Delores Grindstaff and the Johnson City Medical Center Hospice. In lieu of flowers the family request that memorial contributions be made to the First United Methodist Church, 900 Spring Street, Johnson City, Tn. 37604 or Summit Leadership Foundation, P.O. Box 3555, Johnson City, Tn. 37602. The funeral service for Mrs. Olean S. McKinney will be conducted at 2:30 PM Sunday in the Morris-Baker North Chapel. Pastor Lon Tobin will officiate. The committal service will follow in the Monte Vista Memorial Park. Active pallbearers will be selected from family and friends. The family will receive friends in the funeral chapel from 1:30 to 2:30 PM prior to the service.